WE NEED YOUR SUPPORT!!!!! 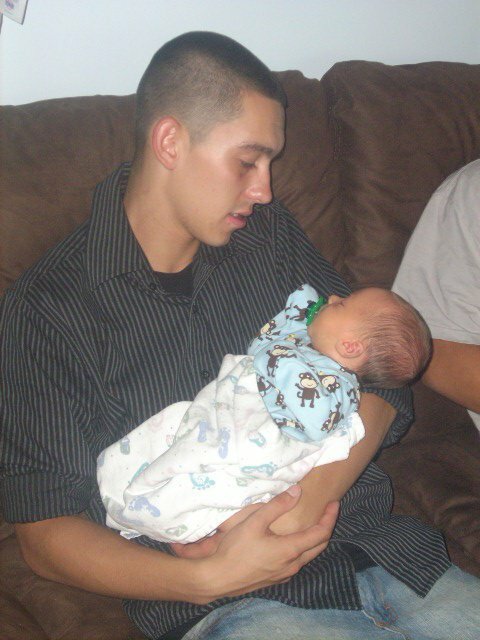 This is an emergency fundraiser to help keep young families and their babies off of the streets. We have a young family in Indiana…. with a newborn baby about to lose their place to live. We need your help to help them… any resources… anything to keep them and their baby off of the streets. Please stop for a moment to help. This young man has been helping us to raise funds for Books Up Streets Down… All this time he has been in need himself and has not said a word. 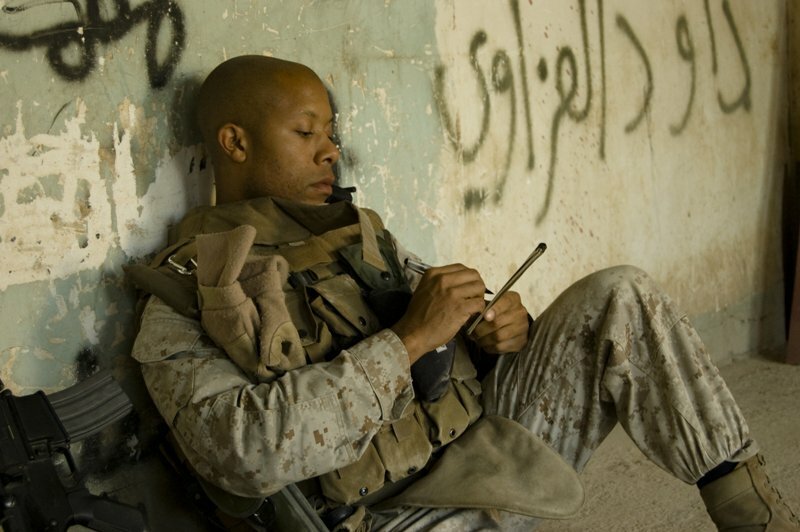 We need your help to keep him and his family off of the streets. 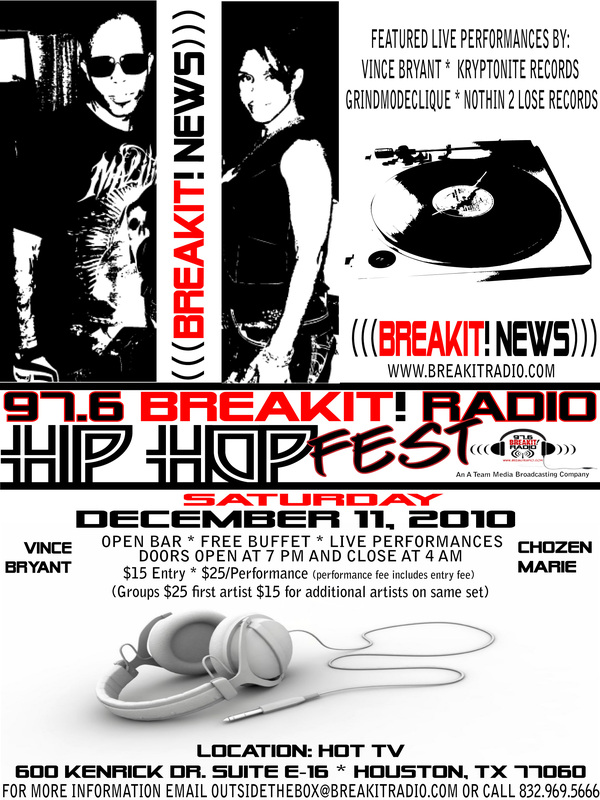 SATURDAY, NOVEMBER 6, 2010, AT 9:00 PM, 97.6 BREAKIT! 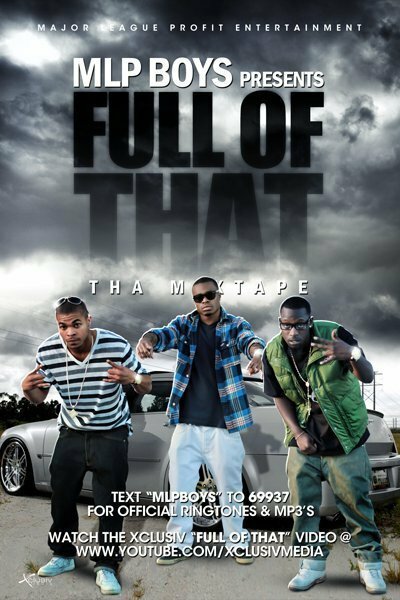 RADIO WILL HOST ITS OFFICIAL KICK OFF PARTY AT HOT TV, LOCATED AT 600 KENRICK DRIVE, SUITE E-16, HOUSTON, TX 77060. BreakIt! Radio invites the community out to enjoy Independent Artists as they break their talent on the Hot TV stage along with HIP HOP professionals such as K-Rino and Vince Bryant. Also, special performing guests Golden Boy, Supa Sammy Veal, Sho Stoppa and Young Solar will blaze the stage at this hot event. 97.6 BreakIt! Radio, an affiliate of A Team Media and Broadcasting Company, stands at the forefront of making history in changing the face of entertainment as we know it. As a prominent force in their stance on a HIP HOP Revolutionary Movement, the breaking new radio station is set to revive HIP HOP globally, as well as give indie artists an avenue for exposure – breaking them into the industry. In association with Breaking the Labels, the station owners, Vanessa Chozen Marie and Vince Bryant are dedicated to utilizing the station as a vehicle to “power” the voices of the people in many aspects. The two recognize music and entertainment as vehicles for fueling the MOVEMENT. Through music and entertainment the two are working to positively impact their local community and abroad. 97.6 BreakIt! Radio Red Carpet History Making Sponsors for this event are Nothin 2 Lose Records (Jason “JBlak” Jackson, Dwight Facey, and Justin Rimer), Real McCoy Entertainment (Blue Royale, Cori Wilikins, Shereece Campbell “MamaStackz”) and Tattoos by Kevo (Kevin Byrd). 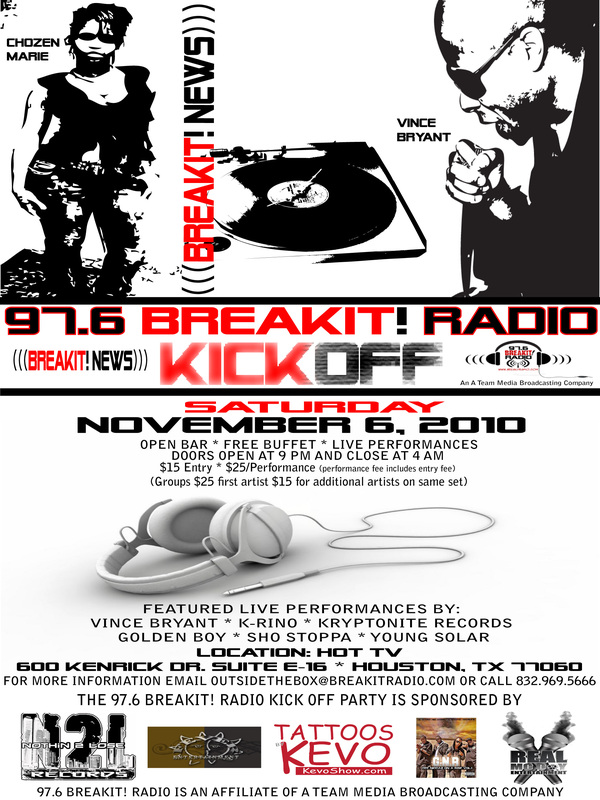 For more information regarding the Kick Off Party, contact (832) 969-5666 or email outsidethebox@breakitradio.com. To become an event sponsor, vendor or to advertise your business at this event, contact Vanessa Chozen Marie at (832) 969-5666.